This 35ft motorboat is powered by a 350HP inboard Cummins engine which provides fast and safe traveling to the snorkel spots we like to visit. The boat has ample space and is equipped with all safety features as required by Costa Rican law and to US Coastguard standards. The amenities are fresh water shower, Bimini top and modern stereo installation. This boat has a legal capacity up to 10 passengers. We offer an early morning trip to go snorkeling which is the best time of the day to see marine life such as turtles, dolphins, rays etc. 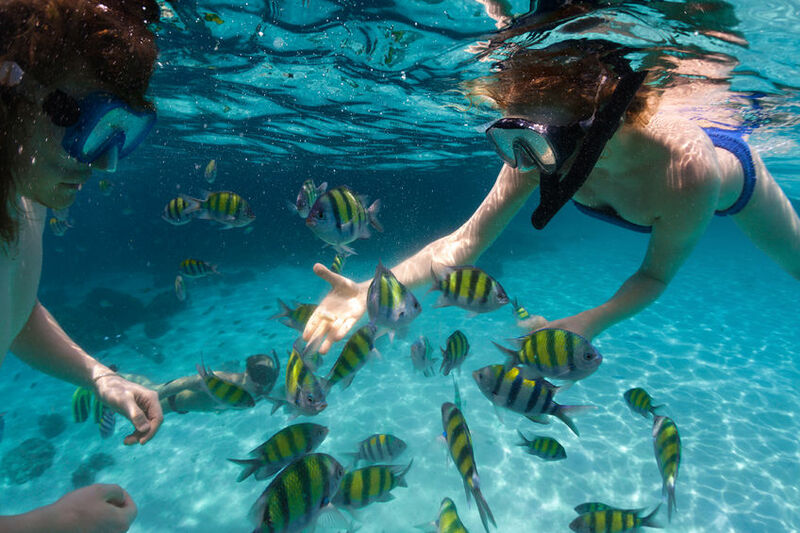 Our crew will provide you with safety instructions and snorkel gear. They will go in the water with you as your guides because they know where to find the fish.